Nutritious diet and a healthy lifestyle is a must for healthy glowing skin. Come summer, people of different skin types are prone to various kinds of skin problems, due to harsh weather conditions. Hence, it becomes necessary to protect the skin from damage. Here is a brief on various kinds of skin problems that may occur during summer, and their treatment options. According to Ayurveda, skin problems of any kind, occur due to imbalance of the ‘Tridoshas’, namely vata, pitta and kapha. Usually, individuals with vata constitution have dry skin, while people with pitta constitution have slight oily skin, while those with kapha constitution have complete oily skin. Due to the harsh summer heat, there is increase in dust and pollution, and this makes the skin dry. The excess sweat secreted by the skin, leads to itchiness, red patches, wrinkled skin, and the skin in general may appear dull and lifeless during summer. Individuals of vata constitution, in particular, should take care to have a nutritious diet by avoiding excessive salt and spice and maintain good lifestyle habits. It goes without saying that drinking lots of water is a ‘must’ for all skin types to keep skin hydrated. There are various ayurvedic herbs that can be used to prevent skin problems in summer. Sandal: “Sandal” is excellent for improving fairness, skin vitality, and for keeping the skin cool, and for protecting the skin from eruptions that generally occur in summer. A face-pack made of sandal and turmeric can prevent germs build-up and remove scars in the skin, improving skin clarity. Ramacham (Vetiver / cuscus grass) – This herb has medicinal properties, and is an excellent antimicrobial, and skin coolant. It prevents bad odour that occur due to excess sweat. Given such benefits, it is good to massage the extract of the herb (in the form of oil) all over the body before taking a bath during summer, as it helps in skin rejuvenation. Aloevera – The herb is the best to keep the skin hydrated during summer. Applying aloevera oil all over the body before taking a bath can help in keeping the skin cool and soft during summer. 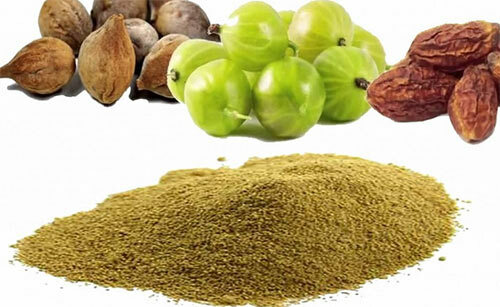 Triphala – The herb is known to eliminate excess heat from the body, and promote skin’s natural healing process. Neem – An excellent herb, the extract of which, can be directly applied on skin to remove toxins from the blood, due to its antibacterial and antifungal properties. People of all skin types, particularly, those of vata body constitution, should take good care of their skin during summer. Taking care of your skin, based on skin types and season, will go a long way in giving your skin a healthy look in the long run.